The WaterTectonics Induced Air Flotation system separates suspended solids, oil & grease, and other insoluble impurities from water slurries. The process dissolves air into water under pressure. Upon release of the pressure, micro-bubbles form. These micro-bubbles interact with the particles to cause them to float to the surface of a vessel where they are skimmed and separated. 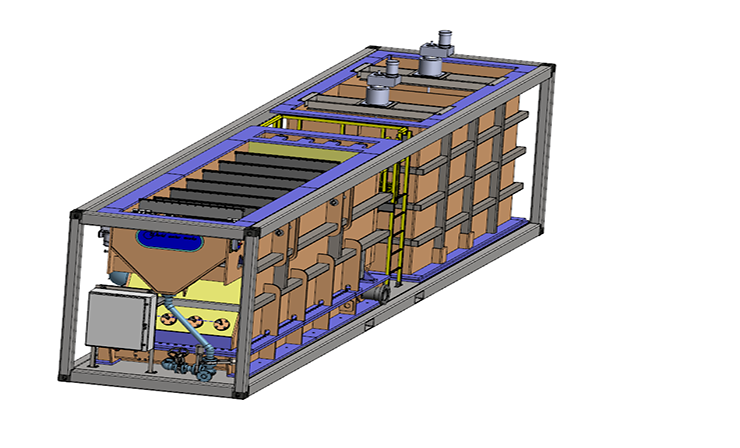 The system utilizes a cross flow design which results in higher residence time and lower footprint. A regenerative turbine system creates very fine bubbles of 5-15 microns, resulting in high removal efficiency. 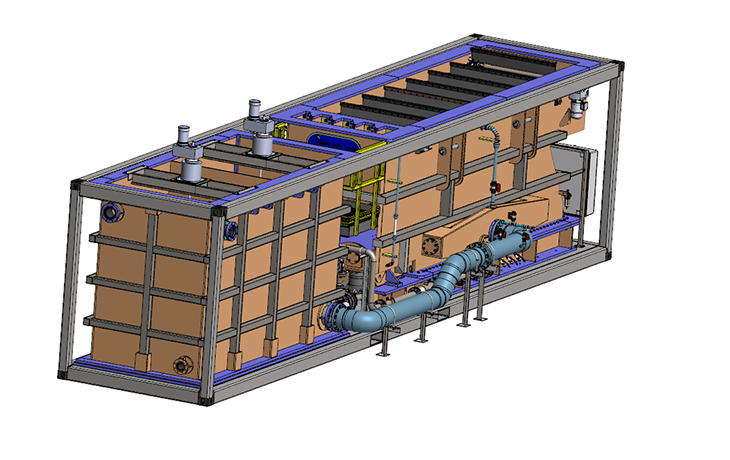 Plate separators and cone bottom sludge sumps help improve the overall sludge management process. Separates suspended solids, oil & grease and other insoluble impurities at a flowrate of 100gpm - 5,000gpm. 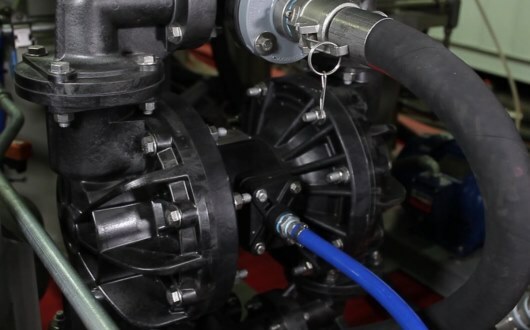 Simple controls allow for adjustment of micro-bubbles, skimmer speed, sludge pump stroke and more. 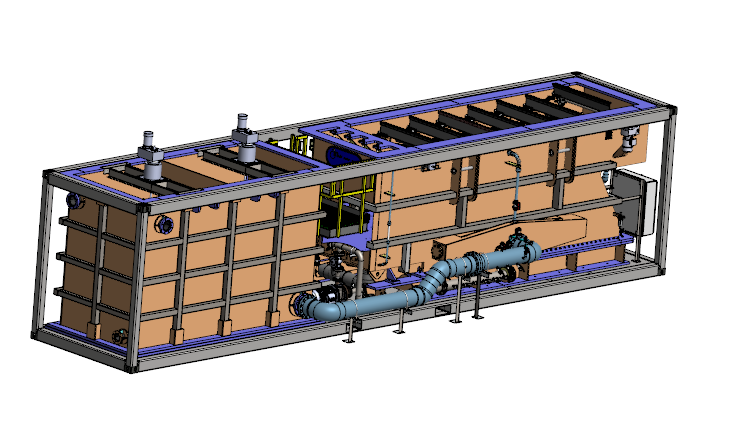 Additional equipment can be integrated onto the skid for supplemental post-treatment filtration. 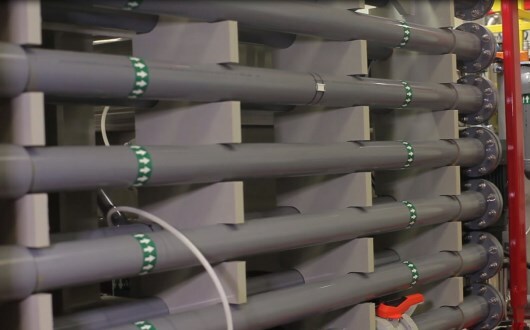 Water enters the flocculation chamber where it can optionally be dosed with a polymer to help enhance floc formation. It then travels through serpentine piping to allow for additional reaction time. Micro-bubbles are injected into the water prior to entering the separation chamber through four micro-bubble injection quills. The micro-bubbles help lift the flocs to the surface of the separation chamber. 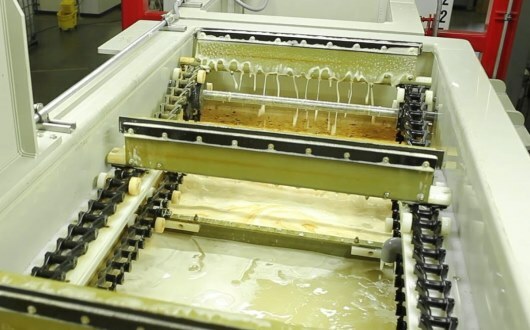 A layer of sludge forms on the surface of the separation chamber, and an automated skimmer periodically scrapes the sludge into the sludge tank. 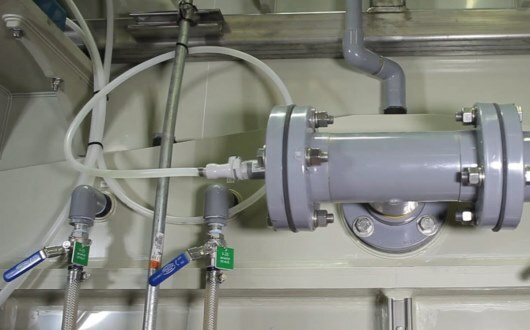 Treated water exits the separation chamber near the middle to ensure that floating and settled floc carryover is minimized. The clear well tank serves as the primary holding tank prior to any downstream filtration. Finally, sludge that is removed by the automated scraper and sludge that settles to hoppers at the base of the system is removed by use of an automated sludge pump.